Superdry women's jersey colour block Montana rucksack. Perfect for carrying all your essentials whatever the adventure, this rucksack features a large main compartment, smaller front compartment and twin side pockets, both with popper fastening. The padded back and adjustable straps optimise comfort, while the top grab handle make this an easy grab and go accessory. 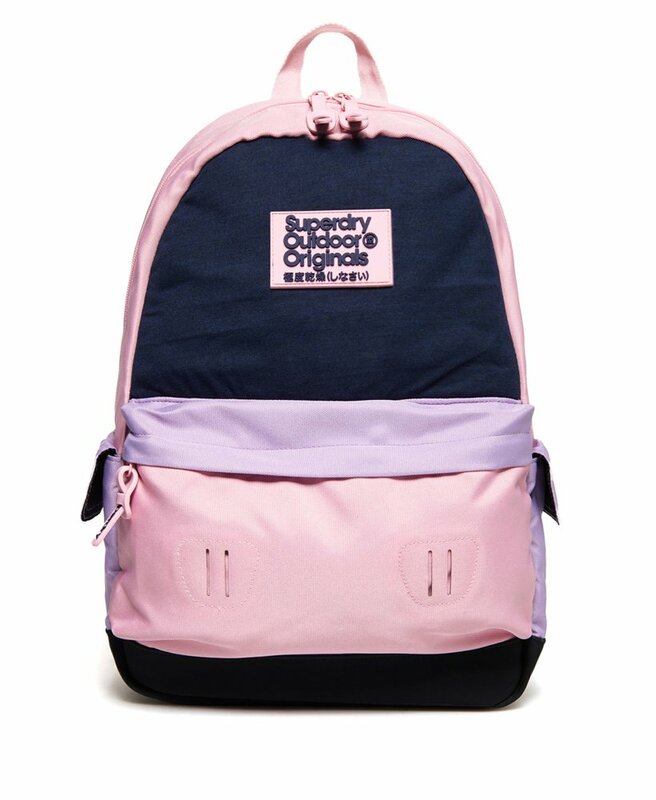 The jersey colour block Montana rucksack is completed with a Superdry logo badge on the front and on the strap.